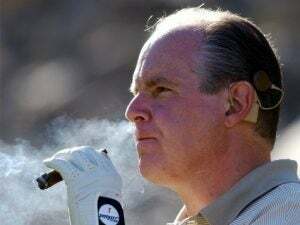 RUSH: I mentioned I was at the golf course yesterday. I played Seminole, which is probably one the top five courses in the United States. It’s right up the road from here, not far away. Twenty-two mile-an-hour sustained winds and, folks, I had the best round of golf I ever played in my life yesterday, otherwise I wouldn’t take your valuable, precious time to talk about it. Every shot. I now know what it feels like to be good at this game. Well, I know what it feels like to the people who really play this game well. Every shot I hit went right where I was aimed. First time every shot. I shot a 78. There were a couple shots that ended up in green side bunkers. No out of bounds off the tee, no lost balls. I just did a couple shots Oprah, but everything else was flushed. Fat. You chunk the shot, I hit a little Oprah, hit it a little fat, that’s what Oprah means. And it was in 22-mile-an-hour headwinds, crosswinds, and it’s something that’s never happened and probably will never happen again. I’m probably gonna screw myself for the next couple times even talking about this, ’cause this angers the golf gods. You’re never, ever supposed to speak like you have got the game figured out. And I’m not saying I got it figured out. Just everything, the timing, the hand-eye coordination, the tempo, everything, for 18 holes. I have never played anywhere near this consistent. It was such a charge. And it was a star-studded day at Seminole, A, because I was there, but it was an amazing group of people that were showing up and played yesterday, names you would recognize, but I’m not gonna mention them because it’s not for that purpose. But it was — well, as I say, I found out what it feels like to play the game, people who are really good at it. It was a bright, sunny day, and it was about 70 degrees. It was perfect. In fact, the ocean. You ought to see the ocean. And it’s that northeaster that did it. We have lines of people all along the road on the ocean stopping to take pictures of it. It is so churned up. This may happen once a year. It looks like a hurricane is out there, except it isn’t. It’s clear, blue, bright skies with this massively churning ocean out there, because of the northeaster and of course the cold front that came through is part of it. The cold front for us got the temperature down to 68 degrees I think for the high on Saturday. And by the way, I played the day before at a different course and was hitting the ball almost as well but not every hole, not consistently. And some of the best shots in my life ended up in the water or ended up — for example, I had 190 yards, it was a par 5, and I’ve got 190 yards on my second shot. I didn’t have my 190-yard club in the bag because I’m trying some new clubs. There is a little bit of a tailwind. So the 190, I said, “Tell you what I’m gonna do. I’m gonna hit my 5-iron. I’m gonna hit a 180 shot here.” He said, “That will be great. Be right there.” My 180 shot traveled 210 over the green into a service road. And it was one of the best 5-irons I have ever hit. There was a second shot on a par 5, another one, a 3-wood. I hit a massive 3-wood right down the right center of the fairway on the way to the green, hit the center fairway, rolls into the water on the left. Get up there looking expecting to find my ball, the caddie says, “No, you rolled in.” Rolled in? How is this possible? He said, “The wind. The wind blew it in.” It was on the right side of the fairway. I’m telling you, I saw it. And it did. We found it there on the very edge. But the next day none of that stuff happened. Every shot went exactly where I was aimed, at the exact distance I was intending to hit it. You know, I was reading something yesterday morning before going out to play about athletes. It was about Russell Wilson. Russell Wilson’s a quarterback for the Seahawks and he’s at spring training with the Yankees. It’s a contract deal. Deion Sanders did this. He’s not gonna be a two sport guy, but he’s been taking BP, batting practice, and they put him in a lineup, and he actually faced live game pitching, and he struck out. And Russell Wilson said, you know, it’s just different. These guys, the ball, the sound of the ball off their bat, it’s just different. Meaning, he’s not anywhere in their league. And this begot a conversation on how really unique superior athletic endeavor is. 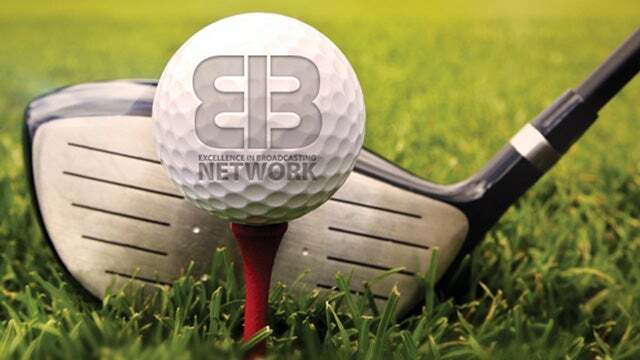 And then the writer of the story said, “Never is there more respect from athlete to athlete than from people that don’t play golf to people that do.” Athletes who play football, baseball, basketball go out and they watch professional golfers and try to do what they do and can’t do it and they say the same thing. “The ball coming off their club just sounds different.” And it does. I mean, if you play with a Tiger Woods or with any of these PGA Tour pros, Russell Wilson is exactly right. You sit there and you watch these guys and they make it look so easy. But it’s tough. “It’s not even a sport, Rush, it’s a skill.” Call it what you want. It is really hard to do, and the people that do it well on a consistent basis you can put ’em in a phone booth.